One basic principle of inquiry-based learning that hitherto has received too little reflection is its potential to allow for a focus on competence goals rather than on discipline- or course-specific educational contents (e.g. disciplinary knowledge). Although a broad potential for fostering a wide array of competences is attributed to inquiry-based learning, this has yet to be systematically researched and demonstrated. 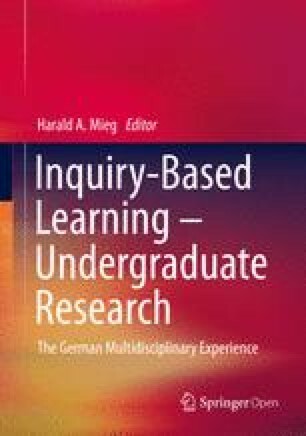 This chapter outlines which competences can be fostered by inquiry-based learning and how these competences are to be understood. So far, the competence goals of inquiry-based learning have only been abstractly specified. This is insufficient for competence-oriented teaching, since it remains unclear which particular competences are to be fostered and how these may be actively promoted. Drawing on concepts and findings from current research projects, this chapter will operationalize these abstract competence goals and discuss ways to address these during higher education teaching.